Consultant of Taiwan Society of Sustainable Built Environment since 2007. 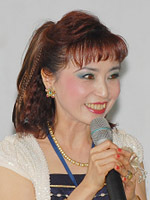 Secretary General of Archilife Research Foundation (Taiwan) since 1982. General Manager of A & E Development Corp. since 1982. Chair & keynote speaker of special session at SB2002, Oslo, Norway. Chair & keynote speaker of Student Session at SB05Tokyo, Tokyo, Japan. Speaker of Unit-8 at SB05Tokyo, Tokyo, Japan. Speaker at iiSBE Fall Meeting 2006, Prague, the Czech Republic. Chair of SB07Taipei, Taiwan, ROC. Keynote speaker of Student Session at SB08Melbourne, Melbourne, Australia. Keynote speaker of SB Regional Policy Reviews Session at SB08Melbourne, Melbourne, Australia. President of Taiwan Society of Sustainable Built Environment.